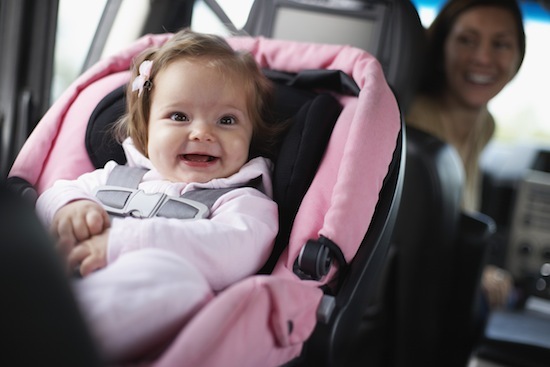 We are excited to announce the first annual National Buckle Up for Life Day - a nationwide movement dedicated to improve child passenger safety. Toyota has increased program funding for three new Buckle Up for Life partner cities, and has launched the Buckle Up For Life pledge. Car crashes are the number one killer of children in the United States between the ages 1 and 12.1 Only 1 out of every 4 child car seats are properly installed.2Starting today, Toyota is inviting you to take the pledge to Buckle Up for Life and share the safety tips with friends and family to keep your loved ones safe. Buckle Up for Life is a national, community-based injury prevention program, created in 2004 in a partnership between trauma specialists at Cincinnati Children's and Toyota. The program's main goal is to help save lives by educating communities about the number one cause of death of children under the age of 12 in the U.S.